In 1997, Paul Hill published his book Reinventing Public Education: How Contracting Can Transform America’s Schools (the center where I work at the University of Washington was founded on the ideas presented). With his co-authors, Lawrence Pierce and James Guthrie, Hill proposed that all schools in a city should be contracted out to school-based nonprofits as a means of improvement. He contrasted his proposal with the concurrent charter school movement, in its infancy at the time. He wondered about the then-limited scope of the charter concept. Often seen as “piloting” new ideas for the public school system at large, would charter schools ever grow to serve every child in a city? Charter schools have grown quite a bit since then, yet the basic question remains: Can or should every school be a charter? Is that the best way to ensure that every neighborhood has a quality option? The flexibility that charter schools have can often lead to innovation. Yet creating an entirely new system of schools from scratch is challenging. Charter school growth is slowing, and the challenge of finding school buildings is partly to blame. Proposals to close under-enrolled district schools often meet fierce opposition when cast as making room for charters. Parents prefer schools close to their homes and face difficulty enrolling in school choice options when application systems aren’t coordinated or streamlined. As we at the Center on Reinventing Public Education know from our research, many leaders in both the district and charter sectors call for closer collaboration, but the work requires a high level of effort and clear benefits for both sides. Cities such as Los Angeles, Tulsa, Atlanta, and Indianapolis are exploring a third way for school improvement — contracting out neighborhood public schools, much as Paul proposed in 1997. Partnership schools might unlock the innovation of charter networks and other nonprofit organizations while minimizing political friction, as they are developed in closer coordination with districts and local communities. They are often developed with the intention of serving a particular neighborhood or turning around a struggling district school. My colleague Christine Campbell and I describe the motivations and challenges for district and charter leaders as they balance the desire to have school-level autonomy with the need for systems-level coordination in our new brief. While districts may be able to contract on their own initiative, Indiana adopted a specific state framework for partnership schools, known there as Innovation Network Schools. 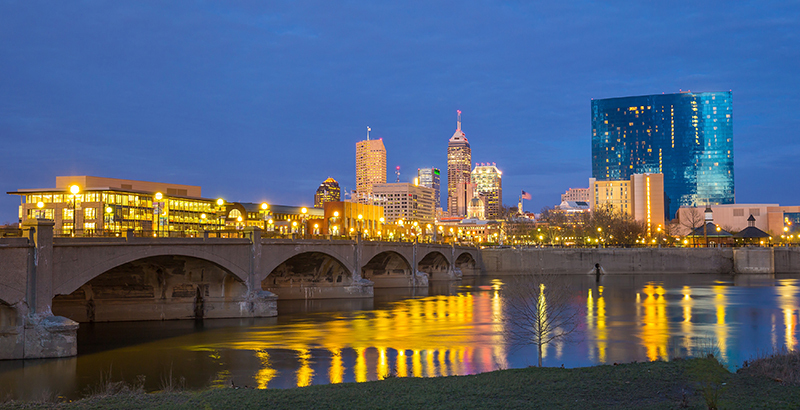 Indiana’s law presents an option for independent entities, including those operated by charter school networks, to operate autonomous schools in partnership with Indianapolis Public Schools. There are 16 Innovation Network Schools operating in district buildings, including two associated with KIPP and one associated with Purdue University. Recently, the network’s schools were identified as making some of the largest yearly gains on standardized tests in Indianapolis, one measure of school quality. IPS gets credit for this success; the partnership schools’ test scores are included in the district’s reporting on state assessments. Each Innovation School has its own unique partnership agreement with IPS, although many are authorized as charters as well. Innovation School leaders have more freedom than principals of traditional district schools but must negotiate many aspects of their operation with the district, which could be more restrictive than a charter would be. Districts in Indiana must themselves opt in to the law, underscoring the need for favorable civic support and leadership. But because Innovation Network Schools remain district schools for the purposes of state funding and accountability, districts have greater incentives to pursue this arrangement than they might to support charter schools. Access to facilities and other services provided by the district provide powerful incentives for charters or would-be charter operators. Many questions remain about partnership schools. Will the partnership agreements be sustainable? Will new school providers emerge that wouldn’t have under charter school laws? Will we see greater innovation in new instructional models? Still, partnership schools present an opportunity. Leaders contemplating school improvement strategies in their communities may find that partnership schools can help deliver on the promise of high-quality public education for students and their families in ways that neither district or charter schools could on their own.